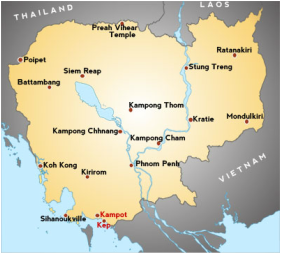 All volunteers and committee members pay for their own flights and accommodation and expenses whilst in Cambodia. Happy Hub Kampot is lucky in that we have no need for an office space or staff so there is very little money that comes out of the charity to cover the running costs. This is one of my drivers to starting the charity, as I wanted to set a charity up where almost every cent in the dollar goes to where it is needed. There are no expensive marketing campaigns, full time staff, superannuation’s and none of the committee of Happy Hub Kampot get one cent from the charity including obviously myself!! This means the more donations we get the more people we can help. We don’t take any donations for granted and are grateful for every donation be it $1 or $1,000.